It was after a meeting between Richard and Michael, that Michael decided that of the various Toastmaster groups within the UK, he would partner with the English Toastmasters Association. It is extremely important to Michael and Cuallacht na Máistrí Sláinte that Toastmasters are not only promoting themselves in a professional manner but also the organisation. 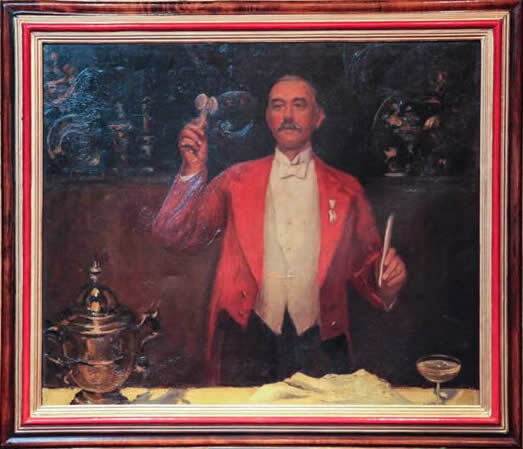 It was, with this in mind, that on Tuesday Richard, Sian, Garry and Steve accompanied by Michael travelled in full uniform to the Millenium Hotel in Mayfair, in order to have their photograph taken with an Original Painting of William Knightsmith. 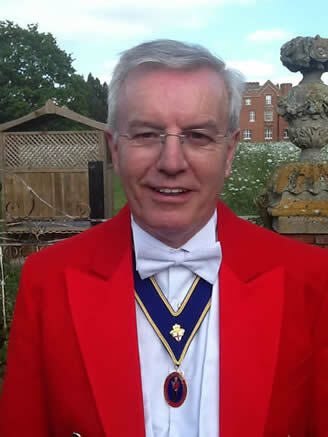 William Knightsmith was the first Toastmaster to wear, what has become, the Traditional Red Tailcoat and so very soon in Ireland the Red Tailcoat Toastmaster will become an important feature at Weddings, Corporate or Charity Events. Visit Michael’s website and register, in order to keep up to date with what is happening with the Guild of Toastmasters in Ireland. Michael’s background has been in the hospitality industry, where he would drive visitors to Ireland around the country in order to enlighten them on the various traditions of that country. He is now looking forward to working closely with the English Toastmasters Association in order, to build up Cuallacht na Máistrí Sláinte in Ireland. He can also be reached via the Telephone on +353 91 557575 or +353 85 714 7070 and please remember that if you are calling from Ireland or the UK, Michael will actually call you back, so as not to have you running up your phone bill. Please remember that we are here to help you in any way that we can and we look forward to hearing from you very soon. If you are interested in joining Cuallacht na Máistrí Sláinte then please get in touch in order to discover more about the wonderful opportunity we have.